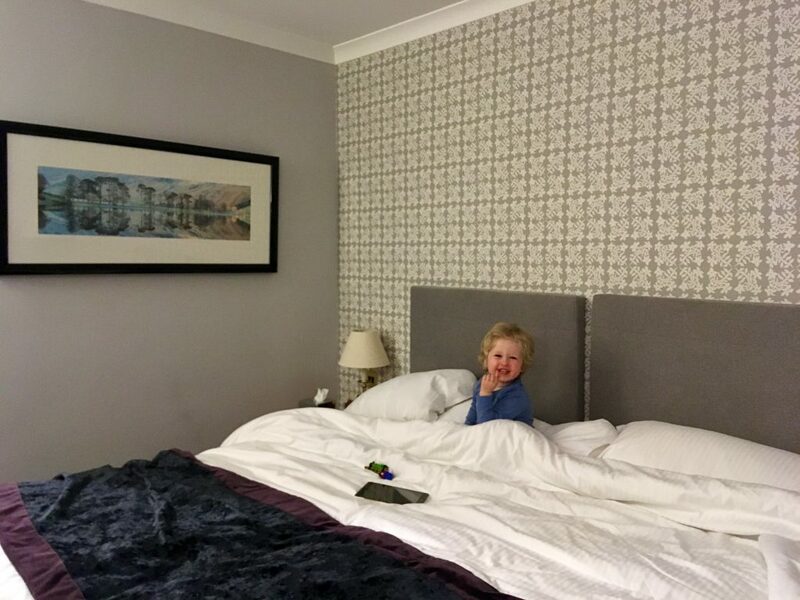 On Sunday we went up to the Lake District stayed in Low Wood Bay in Windermere. Low Wood Bay is an absolutely stunning 4 star hotel that sits on the shore of the beautiful Lake Windermere between Windermere and Ambleside. We booked for the Sunday Saver deal which included dinner, bed and breakfast. We stayed in one of their Willow rooms which was perfectly presented. It had a (ridiculously comfy) super king bed in it and they had put a small single in too for Lucas (although all three of us co-slept in the super king and had plenty of room!). The room had an LCD smart TV in (we never used this) and an assortment of fair trade tea, coffee and bottled water as well as locally sourced biscuits and gingerbread. Lucas had also been left a little bag of goodies on his bed which included colouring pencils and card, chocolates, juice, a balloon and a Sam’s passport that he could get stamped when he did various activities such as tell reception about his day or eat in the restaurant and at the end of our stay they signed it and gave him a t-shirt. 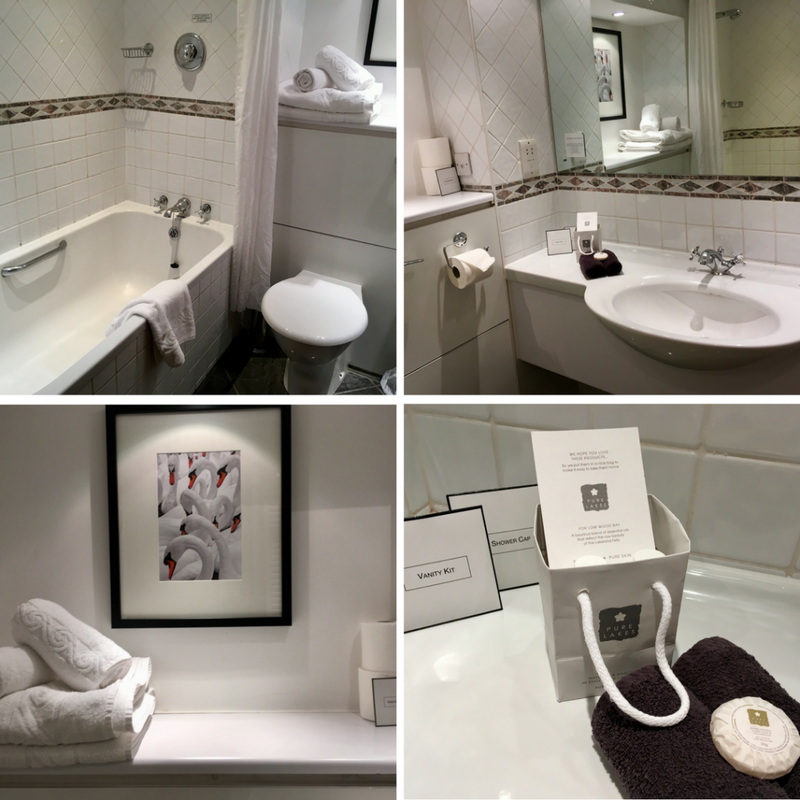 The bathroom included a bath and shower and came with a little bag of complementary toiletries including shampoo, conditioner, body wash and moisturiser from Pure Lakes. 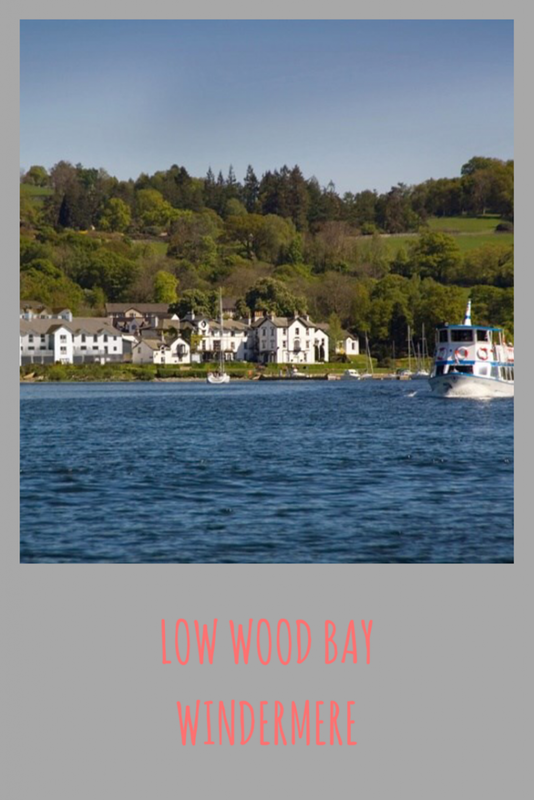 The Low Wood Bay offers two restaurants to choose from for eating. The Windermere that serves a selection of classic European dishes and Blue Smoke on the Bay that serves a wide range of international dishes cooked over their woodfired grill. We opted for Blue Smoke on the Bay. 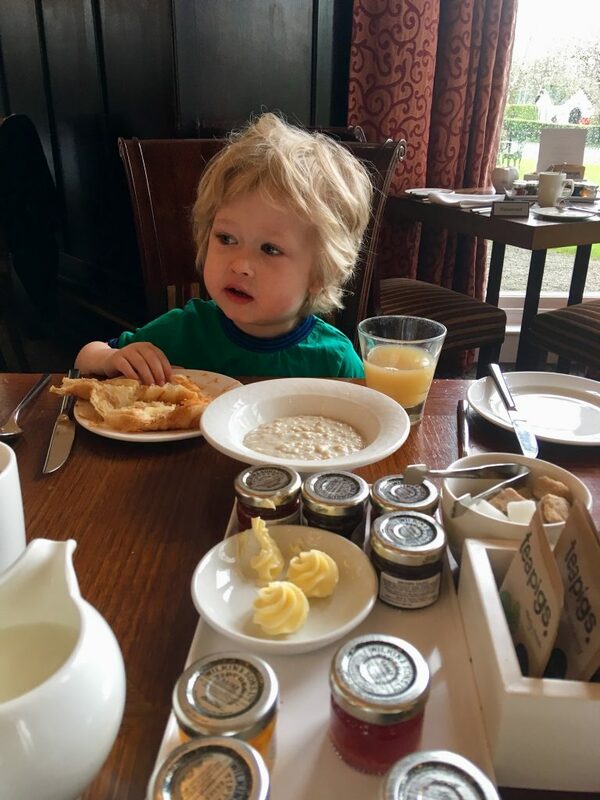 Breakfast is served in The Windermere and tables where already reserved when we arrived according to how many people where in the room. I loved this, is meant we didn’t have to think about finding a table and were directed to our table when we told them our room number. We were asked if we wanted tea or coffee and these were brought over. For breakfast, there was a menu with speciality dishes on as well as a self serve continental section which had everything from cereals, juices, pastries, cheese, meats, fruit etc and then another self serve section with cooked breakfast such as eggs, sausages, bacon and tomatoes. The food was absolutely delicious and it was a relaxed atmosphere. 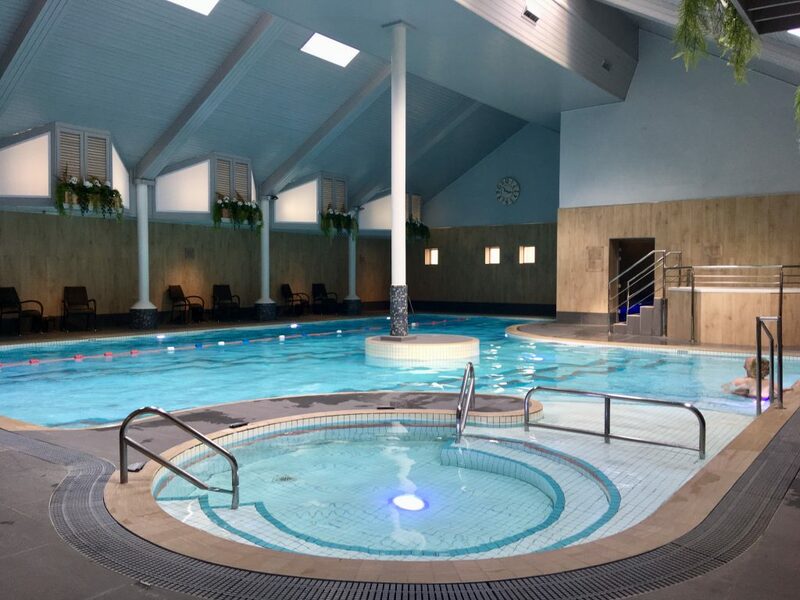 Guests of the hotel also have access to their gym, pool, squash court, jacuzzi, sauna and steam room. We used the pool which was so nice. There are family, men’s and women’s changing rooms. You are given towels and locker bands at reception to use. There is also The Snug where you can book beauty treatments. At the moment they are currently renovating to create a spa and outdoor swimming pool which I can not wait to see! I couldn’t think of a better view than Lake Windermere when relaxing in a spa. Although there were these building works going on outside, once you stepped into the hotel you would never have known. Now this sounds like an amazing place to go and spend some time, the rooms all look amazingly cosy, while that pool looks fantastic. England is such a pretty place. I miss it now that I’m living in Toronto. The lake district has always held a special place in my heart. My surname is there. And it’s gorgeous. I’m thrilled to hear you had a lovely time. The room looked well appointed and breaksfast (my favourite meal of the day) looked delicious! It’s a beautiful place to get away to for the weekend and just enjoy the room and everything else. The view is very pretty as well and I just like how peaceful it is there. Oh it looks amazing!! I’ve taken note of a lot that you’ve mentioned as we’re staying there in July! I wonder if the outdoor pool will be ready?! What a gorgeous place to stay! 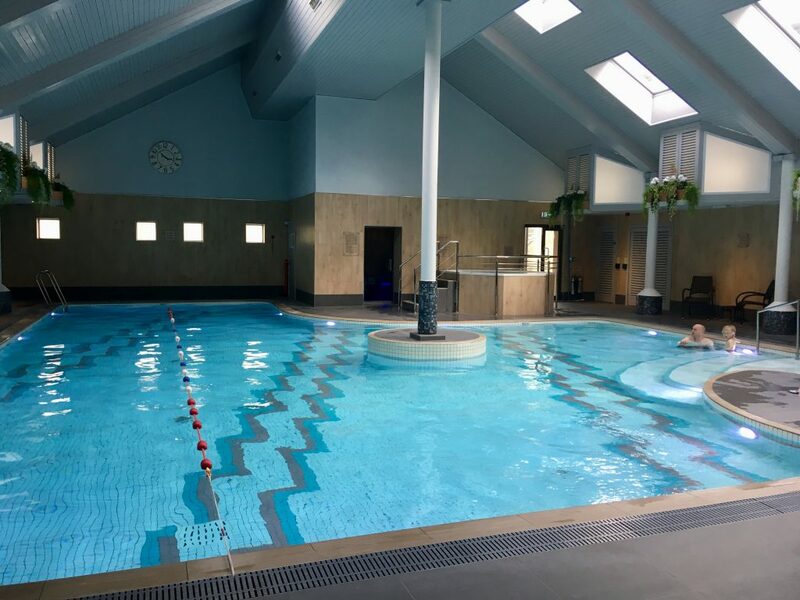 We love Windermere, that pool looks amazing too! 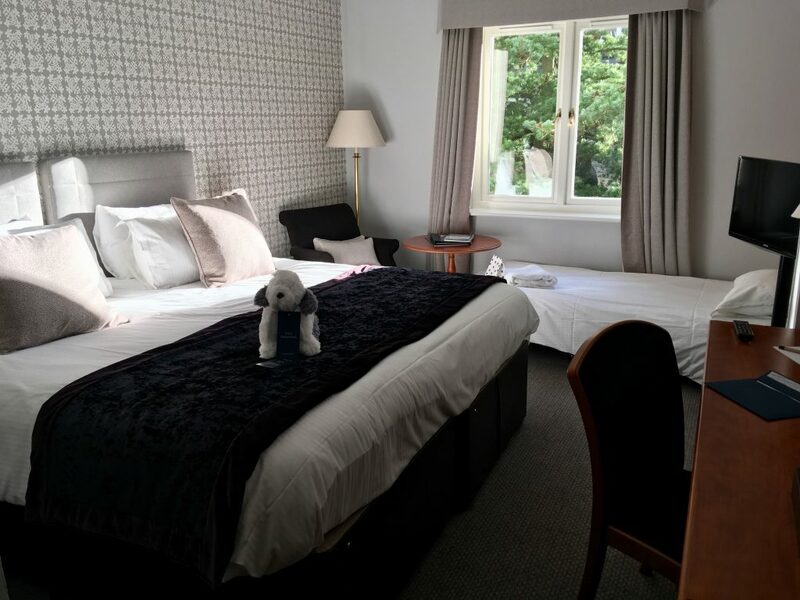 We have friends that live near Windermere and have often toyed about staying up (we’re 6 hours away) this looks like a great place to stay! Wow! What an amazing place to stay for the weekend. I love the bed and the pool. These are the ones that really stood out from the pics you posted. Oh my word that pool is amazing!! I’m so pleased you were so welcomed, it looks like a beautiful hotel and that pool is gorgeous. I’d love to go back to the Lake District. Your room looks gorgeous and I like that they had some activities to keep the kids entertained too – very thoughtful!